Ina Toderita is Balentine’s Director of Operations. In this role she is responsible for the day-to-day functions of the Operations Team, including the management of the reporting and account services associates. Prior to joining Balentine, Ina worked at Pershing LLC in the roles of margin analyst and, most recently, client trainer. 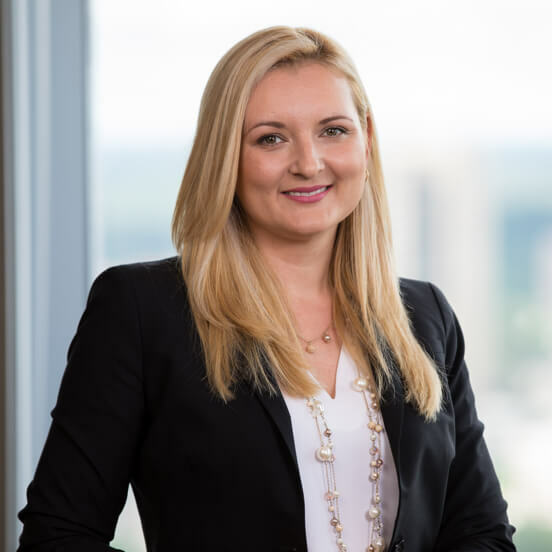 Ina graduated with a bachelor’s degree in finance from the University of Central Florida and has a MBA with dual concentrations in finance and international business from Rollins College. I love what I do, but I REALLY love who I get to do it with. The Balentine team possesses a wealth of knowledge, demonstrates passion for the industry, is dedicated to our clients, and genuinely cares for one other. Where is the most exotic place you have ever been? Traveling is one of my passions. I’ve been to a handful of countries in Europe and South America, and I would love to continue exploring the world with my husband and daughter. The most exotic place I’ve been is Beijing, China. While there I ate a scorpion on a stick; he was a crunchy little guy. I love books focused on strong women. From my most recent readings I’d choose The Glass House and Half Broke Horses, both by Jeannette Walls, as well as The Thorn Birds by Colleen McCullough, my childhood favorite.